What are you doing this Friday? It’s the classic phrase that most of us have heard since our college days, and regardless of where you live, there’s a good chance you’ve been floating that question to yourself or some friends in the hopes you can find something fun to do. If you happen to be a resident of the apartment rentals in Manhattan, then you should already know that there are plenty of things to do around the city, and on Friday nights the choices are just as robust as any other time of week. If you’re stuck trying to think of options, though, read on as we explore some of the best in town. Some might see it as passé, but there’s no denying that New York City is a metropolis with more than its fair share of beverage-serving establishments, and they serve as a locus of activity that you can center a Friday-night outing around. 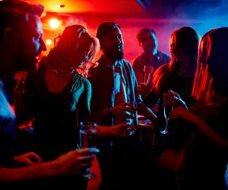 If you want to hit up a bar, make sure it’s a good one (any number of bar listings can clue you in on what’s suitable), and make sure you adhere to some proper, Friday-night bar etiquette to ensure your evening goes off without a hitch. While the museum is screening good, but still old movies that you might have already checked out, Cinemas 1, 2 & 3 will be screening first-run indie and foreign films. You can head over here on 3rd Avenue to check out something you’ve never seen before, all in a newly-renovated space that includes 2K digital projectors and leather reclining seats. Discover the hidden gems around NYC & beyond. Explore the unknown stories of everyday places. Learn from experts who define urban culture. It’s not hard to fathom. Communities like Renoir House provide a great place to stage a relaxed Friday-night get together. You can gather your finest friends in your spacious residence, break out the cards or board games, then engage in some friendly competition. Or perhaps you’ll spend some time relaxing, listening to some of your favorite tunes and reminiscing about times since past? It’s all possible -- check out Renoir House today and see exactly why it makes for a great place for Friday nights and beyond.